In the first week of May, the American music industry commenced a semi-annual tradition: singling out a lone piece of Jamaican music and sending it up the charts. 2018’s lucky winner is “Walking Trophy,” a confidence-boosting single by Hoodcelebrityy, a Jamaican-born, New York City-based singer. By early July, two months after appearing on the mainstream R&B/Hip-Hop airplay chart, “Walking Trophy” was reaching an audience of around eight million listeners a week. Maybe conditions are finally in place for Jamaican artists to break the de facto seasonal embargo. Streaming has helped multiple global genres of music achieve prominence; Thanks to huge YouTube numbers and beefed-up Spotify playlists, more Spanish-language songs than ever before are reaching the Hot 100, and within the last year and a half, K-Pop has also started to cross into the U.S. market. Jamaican music has been more historically influential than either reggaeton or K-Pop; could it be the next genre to break globally? “Dancehall is the son of reggae, but the father of several genres,” says Sean Paul, likely dancehall’s biggest crossover superstar. “The influence dancehall has brought to the table is evident right now in Afrobeats,” he adds, citing the popular Nigerian sound that has in turn inspired hits by Drake and others. The speedy strain of dance music known as drum and bass and the English hip-hop subgenre grime also owe much to Jamaican templates. Jaxx, the producer, points to another underlying problem: the Jamaican market’s lack of robust infrastructure for international distribution. “In America, there are major labels that you can bring your artist to and then you have a platform,” he says. 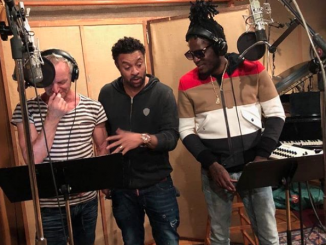 No parallel institution exists in the Caribbean: as Ricky Blaze laments, “we don’t have a Def Jam Jamaica.” “It’s very hard for a record to make it far outside of Jamaica without a mainstream label behind it,” adds Linton “TJ Records” White, who produced “No Games” for Serani. 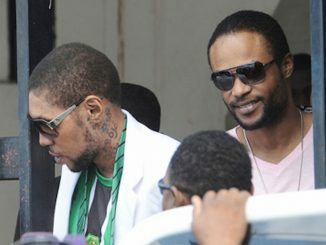 There are also often constraints on the travel of dancehall artists themselves, who may face complicated border control measures when attempting to enter the U.S. Stephen “Di Genius” McGregor, who has produced for Sean Paul and Vybz Kartel, points to the crackdown that occurred in 2010, when U.S. Homeland Security revoked the visas of five dancehall singers simultaneously during a battle with the Jamaican government over the extradition of Christopher “Dudus” Coke, now serving time for drug trafficking. 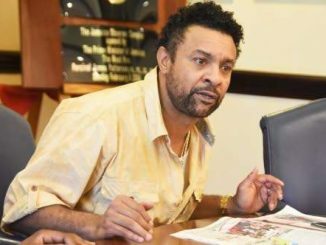 “Most of the frontrunners [in dancehall] had those issues in recent years, which strained the entire industry,” McGregor says. The dancehall singles that make it past these obstacles in the U.S. generally start on New York’s Hot 97 radio — “the biggest supporter of Caribbean music in America,” explains Julian Jones-Griffith, a veteran dancehall manager who now works with Charly Black and Jada Kingdom. After that, songs spread to Hartford, Boston, and other East Coast cities with a notable Caribbean presence. Reaching the rest of the country is harder, in part because of the strict formats imposed by terrestrial radio stations. You’re most likely to hear a dancehall record on an “urban” station, slotted next to rap and R&B tracks. But if a key station in a given market is “rhythmic” – i.e., it plays a mixture of rap, R&B, dance music and high-energy pop – dancehall records often hit a wall. “Walking Trophy,” for example, was played 3,838 times on urban stations in the second week of July, according to Mediabase, but just 722 times in the rhythmic format. The climate for dancehall at rhythmic radio is actually relatively hospitable compared to pop stations, which have barely played “Walking Trophy” at all. Pop radio largely plays white performers; even non-white rappers who reach Number One on the Hot 100 struggle to achieve a major hit on the pop airwaves. This means dancehall records almost never get the kind of cross-format push that leads to a genuine hit in the U.S. Even making it to a major label – like Hoodcelebrityy, who’s signed to Epic Records – is no guarantee of success. “Walking Trophy” is slowly sputtering out, with a 7 percent week-over-week drop in spins the last week of July. “Most labels don’t understand how to market the Caribbean culture,” McGregor says. Promotion staffs are mostly still split by race; the pop department takes care of acts that are predominantly white, and the urban department works with acts that are predominantly black. Dancehall singers will be thrown under the urban umbrella, but the same strategies that work for hip-hop and R&B acts may not work when applied to dancehall. “Some labels don’t want to go 100 percent all-out as they should,” adds Charly Black, whose “Gyal You A Party Animal” and its remix have upwards of 300 million Spotify spins combined. (Black is on the Universal imprint Aftercluv and clarifies that he’s happy with his treatment there.) “Your manager has to have some direction over and control of how you’re marketed,” stresses Bobby Konders, who helms the show On Da Reggae Tip for Hot 97. Streaming seems tailor-made to mitigate many of these problems. Services like Spotify and Apple Music have a proven record of sidestepping the language barrier when it comes to Spanish and Korean-language songs, and they enable artists to do an end-run around the conservative gatekeepers of terrestrial radio. But streaming – or more accurately, the absence thereof – may actually be hurting dancehall rather than helping it. “It used to be hard for us at radio, I think it’s even worse now with streaming,” Jones-Griffith says. 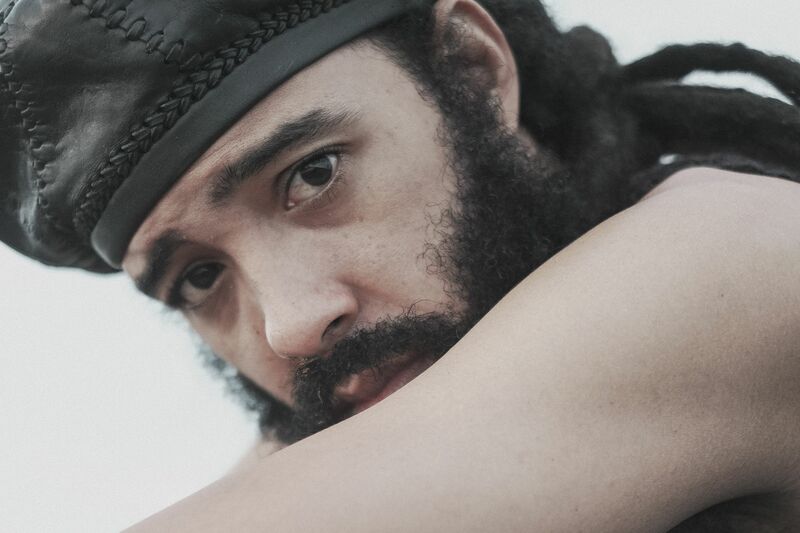 YouTube is available in Jamaica, and that’s one platform where dancehall thrives. But here, geopolitical realities play an important role: Compared to the Latin market, which encompasses over 400 million Spanish-speakers worldwide, Jamaica is a small country. A big hit for the Puerto Rican singer Ozuna easily reaches a billion views on YouTube worldwide in less than a year. Kranium’s biggest hit, “Nobody Has to Know,” has around 90 million views across the videos for the original single, the remix and a special dance clip over multiple years. The stark difference in numbers helps explain why streaming services seem reluctant to engage fully with Jamaican music. “It’s tougher for us to get Spotify to pay attention, or even properly tag records within the genre so that they’re really feeding people who are listening and giving them good recommendations,” says Lem Oppenheimer, C.E.O. of the reggae label Easy Star Records. Other genres have an individual programmer – or several – assigned to them; in contrast, Oppenheimer says, “it’s usually someone who handles jazz that will handle reggae: ‘Here, you look at it.’” According to some Jamaican artists, Spotify recently created an African & African Diaspora Music Editor position that will now include some Jamaican music playlists. Spotify did not respond to requests for comment for this story. A few factors might scramble the status quo. There’s always the possibility of an assist from a mainstream star: Latin pop songs were already reaching America in unprecedented numbers in 2017, but Justin Bieber’s feature on Luis Fonsi and Daddy Yankee’s “Despacito” helped push Spanish-language hits further into pop’s center. But when a Jamaican singer manages to score a hit, it does not seem to yield much benefit for his peers, or even for that artist’s subsequent releases. Kranium, Konshens, Gyptian and Serani have each scored a minor hit since their initial breakthroughs, but not a string of hits. The best way for Jamaican artists to reach U.S. listeners, counterintuitively, may be turning their eyes elsewhere – towards South and Central America. There are two advantages to this tactic. First, reggaeton has maintained a close relationship with its Jamaican forebears – listen to Farruko’s “Inolvidable,” in which someone yells, “it’s a dancehall ting!” before Farruko raps the rest of the song in Spanish; or the Jamaican singer Popcaan’s “Wine for Me,” which is textbook reggaeton. Second, Latin American listeners have proved they have the streaming power to launch songs not only around the world but even into the narrow-minded U.S. market. He points to Charly Black’s “Gyal You a Party Animal,” which Aftercluv licensed. “Panama and Costa Rica are huge dancehall markets,” Guzman explains. “‘Party Animal’ started growing there, then went to Colombia, then Peru and Chile. We started working it in Europe, and it caught on. Then we did a remix with Daddy Yankee that also became huge.” Eventually the song made its way into America, reaching Number 18 on the club chart. Granted, “Gyal You a Party Animal” needed a feature from a well-known Latin act to go the extra distance. But the lesson remains. “I’ve been trying to run down America all these years, but there’s a massive market that already loves our music and their arms are wide open to us ­– that’s Latin America, Central America and Spain,” Jones-Griffith says. Ironically, no longer looking for mainstream U.S. acceptance may be the best way for dancehall to get it.